Summit at Fritz Farm (Lexington, KY) has their Wine Chat from 7:00 – 8:00 PM. 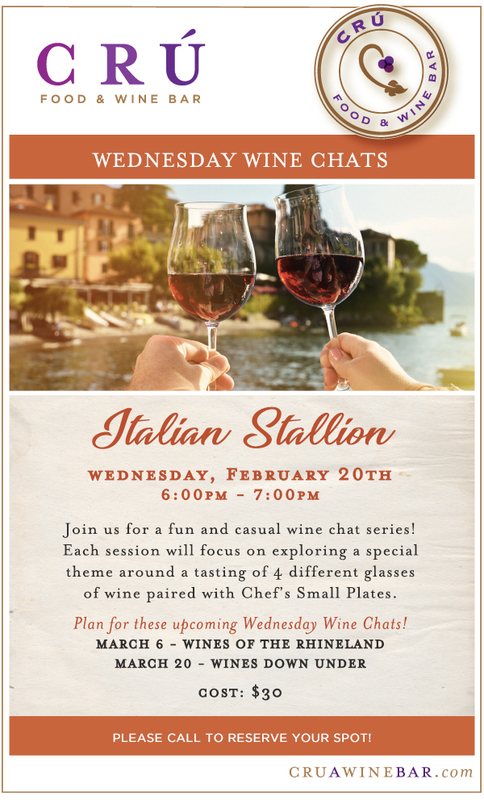 Run with these expressive and bold Italian wines in this Wine Chat: Italian Stallions. $30 for 4 glasses plus paired Chef’s Small Plates!